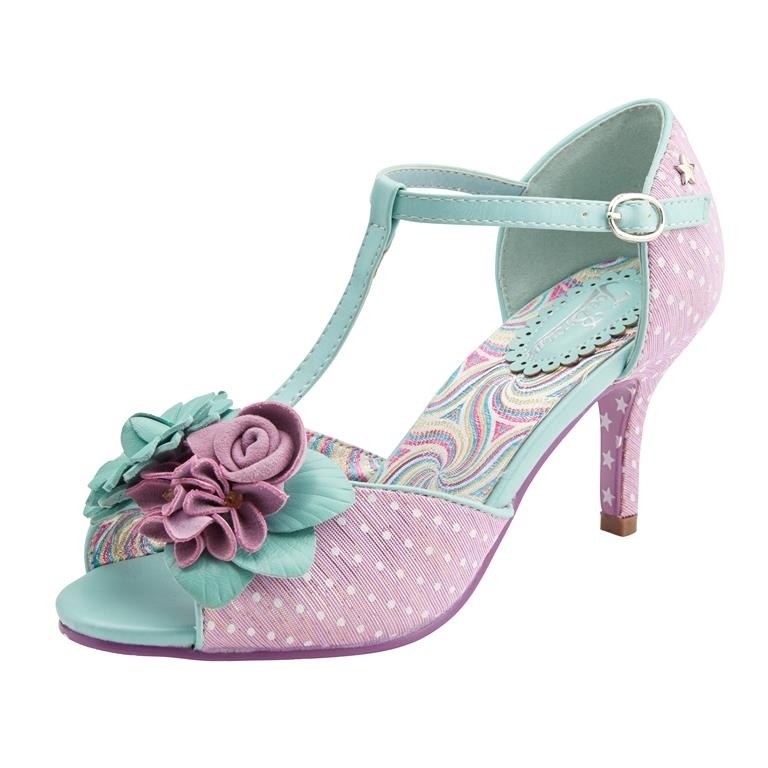 A peep toe bar shoe in lilac and white polka dot with mint trim and straps, finished with a felt flower and leaf corsage- really intricate and detailed. Padded insoles and soles with grip make these totally wearable as well as beautiful. Star print sole, feature printed insole and a gold metal star to the heel give the 'Joe Brown Couture' signature touch!